FARGO – Events leading up to the arrest of one of the Dakota Access Pipeline’s most prominent defendants played out like a game of bughouse chess. 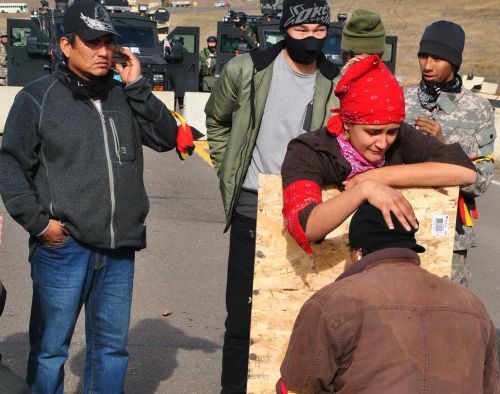 Little did an isolated pawn, Red Fawn Fallis, know of an apparent trap set for her near Standing Rock on October 27, 2016, the day police took over the northern 1851 Treaty Camp, according to her defense attorneys. The state’s side, heavily armed, bolstered by a governor’s emergency declaration and taxpayers dollars, were short on time; the pipeline had a schedule to keep. 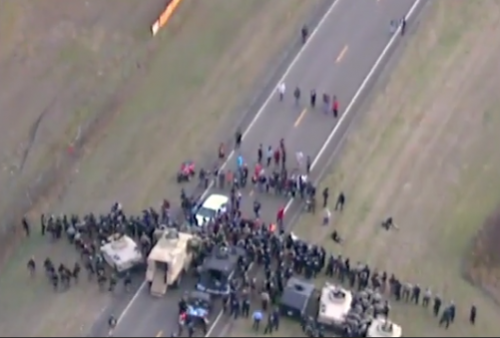 Law enforcement turned their attention to potential leaders of the pipeline resistance. Early morning meetings began every Tuesday “so that battle rhythm should be protected with our state team,” according to emails from the Office of the Governor of North Dakota Communications Director Mike Nowatzki. Battle rhythm is a military term, meant to describe the maintenance of synchronized activity and process among distributed “warfighters,” according to the Defense Technical Information Center. 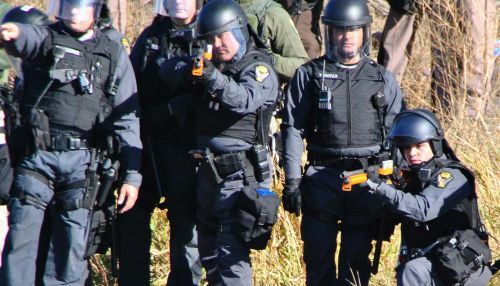 Before Energy Transfer Partners hired the international private security firm TigerSwan, local law enforcement repeatedly retreated from the front lines. Pressure from politicians financially supported by big oil lobbyists mounted, and the state requested federal help. 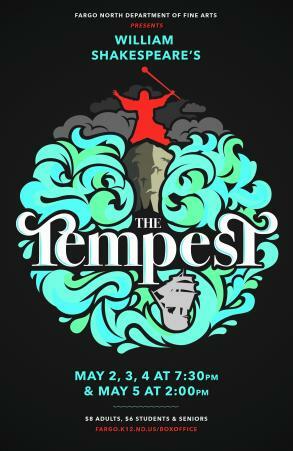 After TigerSwan’s arrival, however, the tempo shifted, and the Federal Bureau of Investigation sent one known infiltrator into the camps. The infiltrator, Heath Harmon, a 46-year-old Fort Berthold Reservation member, befriended and seduced Fallis, according to a December 29, 2017 Motion to Compel Discovery filed by defense attorneys. The relationship continued for an unspecified time after Fallis was arrested for allegedly shooting a handgun – a weapon that did not belong to her, but to the infiltrator, who will be paid $40 per day to testify against his former lover on and after January 29, when Fallis’s case goes to trial at Fargo’s Quentin N. Burdick U.S. Courthouse. 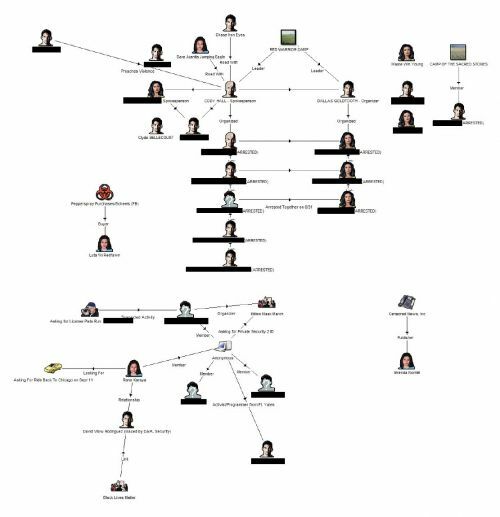 Fallis was considered a potential leader by law enforcement in the resistance camps against the Dakota Access Pipeline, according to the defense’s Motion to Compel Discovery, and her identity was placed into a “link chart” prepared by the North Dakota and Local Intelligence Center. Out of the hundreds that begrudgingly gave way before the law enforcement blitz on the northern Treaty Camp, she was targeted and tackled by a deputy named Thadius Schmit. Two shots rang out, according to affidavits; other video reports state three. One bullet struck the ground near an officer’s knee, and the authorities say a handgun was pried from her hand. Checkmate, the United States Attorney’s Office for the District of North Dakota is preparing to argue. Not so fast, Fallis’ defense attorneys say. The 37-year-old Oglala Sioux woman was caught up in a scheme to take her off the playing field, and the prosecution is attempting to prove she was someone who could cause serious disadvantages to DAPL’s agenda. She was arrested with the informant’s loaded handgun. Fallis’s defense team has asked the federal government for all information related to the informant for nearly a year, but the federal government dallied, waiting months before handing some information over, according to the defense. Due to the lateness of incoming information, Fallis’ defense team also asked four times for a continuance, but was denied. Defense attorneys fired back with a Defendant’s Reply to Government’s Response to Motion to Compel Discovery. Harmon regularly reported to the FBI, according to unclassified FBI documents revealed by the defense. Harmon was ordered to spy on specific people in the camps, but never uncovered plans for violence, including firearms, explosives, or fireworks, and insisted that activists involved in the resistance were nonviolent, according to a defense’s motion. Harmon, however, may not have been the only infiltrator; he’s simply the only person known by name, so far. Others were embedded in the camps, according to the testimony. Informants gave briefings to law enforcement about what they had witnessed. 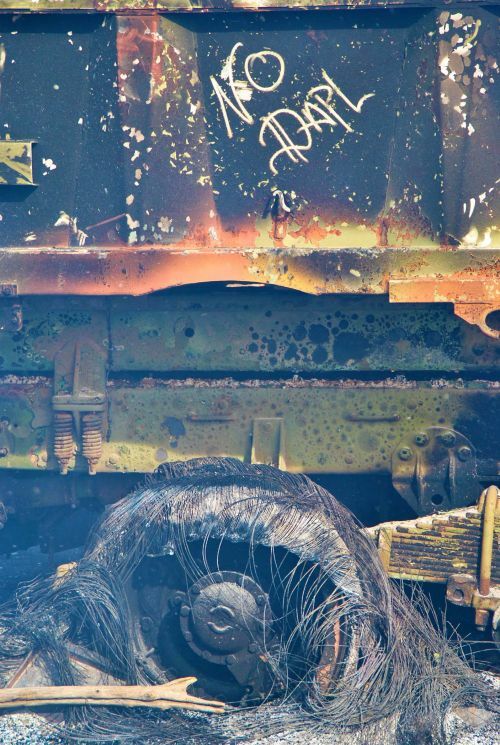 A November 5, 2016 TigerSwan situational report also stated in an executive summary that documents obtained at a resistance camp showed activists were evolving, getting training from within and outside North Dakota, and that Earth First magazines had been discovered, which TigerSwan stated promoted violent activities. From the onset, one of TigerSwan’s goals was to create dissension within the camps, according to emails and information obtained by The Intercept. TigerSwan analysts described a sense of urgency in attempting to obtain information, which was at best difficult, according to a September 22, 2016 informational report from TigerSwan. The defense attorneys maintain that Harmon continued his relationship with Fallis until shortly after her arrest. TigerSwan operatives may not be participating in criminal investigations today, but they did work closely and help organize law enforcement responses, according to Cass County Sheriff’s Department information obtained through a Freedom of Information Act request. The private security firm was also paid to gather information for what would become a “sprawling conspiracy lawsuit accusing environmentalist groups of inciting the anti-pipeline protests in an effort to increase donations,” according to leaked documents and FOIA information obtained by The Intercept. The defense argues that videos and documents they have received from the prosecution, namely United States Attorney Christopher C. Myers and Assistant United States Attorney David D. Hagler, are vastly incomplete, and that some videos from body cams and GoPros have had sections deleted or have been tampered with. Hundreds of videos exist from the months-long controversy, but only one – taken from a distant drone – was taken during Fallis’s arrest, according to prosecutors. “Due to the high volume of videos on October 27, 2016, law enforcement officials did not create a record of which officer created the particular videos,” the federal government said in their response. 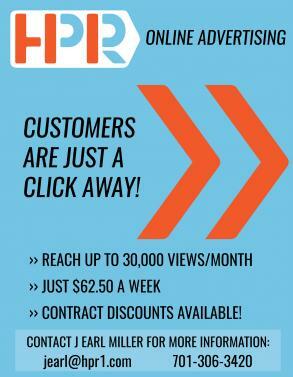 “Also, most of the videos do not contain a timestamp reflecting the time they were recorded. The defense responded with another motion nine days later, arguing that all pertinent information from all the agencies, public and private, involved in intelligence gathering should be handed over, as per U.S. Supreme Court precedent under the Brady motion. A Brady motion is a defendant's request for evidence concerning a material witness, which is favorable to the defense and to which the defense may be entitled, according to US Legal Definitions. Favorable evidence includes not only evidence that tends to exculpate the accused, but also evidence that may impeach the credibility of a government witness. 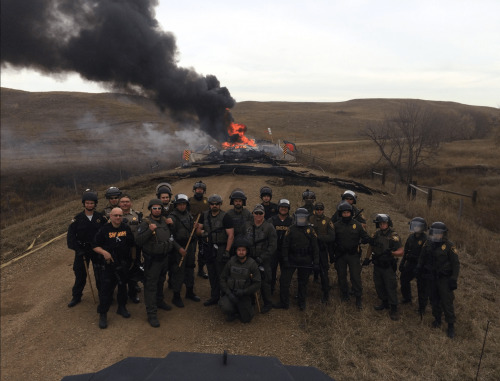 “The government acknowledges communication between law enforcement and private security entities, but asserts that DAPL security contractors are not part of the prosecution team, and that the prosecution does not possess records of any private security contractors. As at the Wounded Knee trials in the 1970s, the federal government has also failed to prove that officers involved were “lawfully engaged in the lawful performance” of their duties, the defense argued. As early as September 7, 2016, days after TigerSwan had arrived, Morton County Sheriff Kyle Kirchmeier and Bureau of Criminal Investigation officials received requests from the North Dakota Private Investigation and Security Board (NDPISB) to “investigate possible criminal activity in the form of unlicensed individuals providing security services at the Dakota Access construction site,” the defense argued. In June of last year, the NDPISB sued TigerSwan as the “fusion leader” of private security organizations also named in the civil suit; and the company’s founder, James Reese, for operating illegally in North Dakota. “The board is in the process of a civil action against TigerSwan, and that I believe is out for service. The board does have civil authority to initiate either administrative actions or civil actions under the Century Code,” Monte Rogneby, attorney for Vogel Law Firm and the NDPISB, said in June. The civil suit is slated for October 8 this year. But instead of policing the “criminal operation of TigerSwan and other unlicensed private security entities, law enforcement and the U.S. Attorney’s Office collaborated with TigerSwan,” Fallis’s defense attorneys stated. 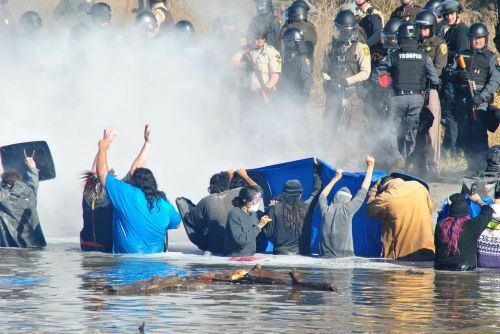 Among other investigative and intelligence gathering tactics, “TigerSwan placed or attempted to place undercover private security agents within the protest group to carry out investigative and surveillance activities against these groups on behalf of Energy Transfer Partners and others,” the NDPISB civil suit stated. 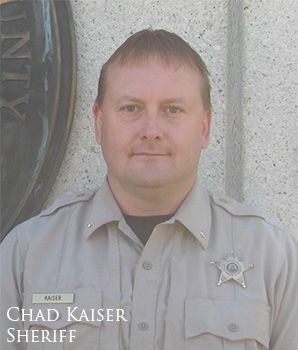 In addition, TigerSwan hired Stutsman County Sheriff Chad Kaiser as the DAPL operations local deputy unified commander, according to defense motions. 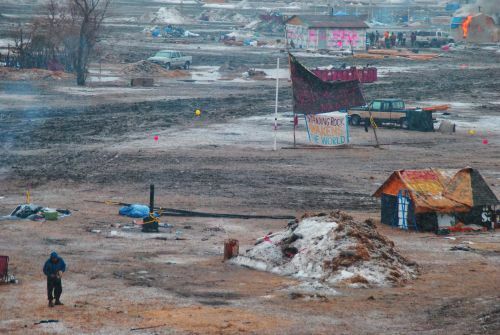 National security Intelligence Specialist Terry W. Van Horn of the U.S. Attorney’s Office used DAPL security footage to identify people for arrests later, according to the defense’s motion. DAPL security’s relationship to law enforcement embodies joint activity, the defense argued. When TigerSwan began operations in North Dakota, it first denied its role as a fusion leader on or before September 23, 2016. Later, multiple requests for cooperation and information were mostly ignored, according to the NDPISB civil suit. More than two months after TigerSwan’s arrival, it submitted an application for working in North Dakota, but the application was denied because if failed to provide positive criminal history for its founder, Reese. In January 2017, TigerSwan’s application was rejected again, but the security firm never stopped working in North Dakota, the NDPISB reported. “Morton County, BCI, and other law enforcement agencies ignored an explicit request made by the NDPISB to ensure private security operators were operating legally and instead initiated a sustained relationship of collaboration with these illegally-operating security companies,” Fallis’s defense attorneys stated in the Motion to Compel Discovery. 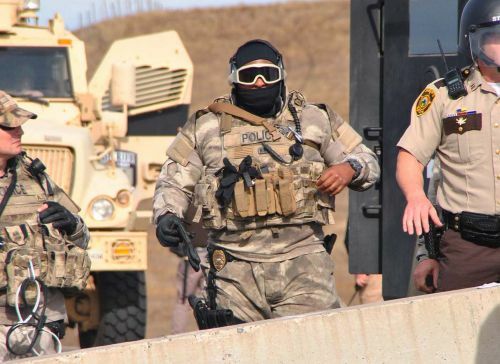 Under North Dakota law, officers who collaborated with TigerSwan may be accomplices to the misdemeanor violation of unlicensed operation, the defense stated. Fallis was assumed guilty by many before the ink dried on her arrest report. She spent a year in jail without bond. Morton County Sheriff’s Department press releases were sent far and wide, with more than 140 reportedly arrested on October 27, 2016. 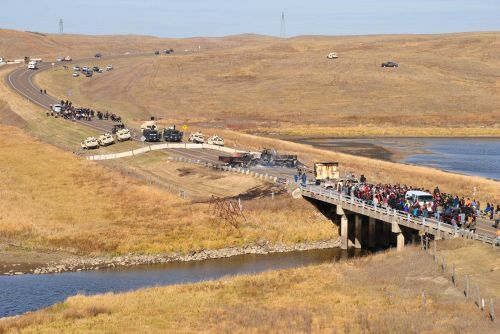 Many pipeline supporters pointed to the incident to ridicule the entire resistance movement outside of the Standing Rock Sioux Reservation, which at one time became the tenth largest community in the state.An October 28, 2016 affidavit conducted by Special Agent Joseph Arenz of the North Dakota Bureau of Criminal Investigation stated that Pennington County deputies Thaddeus Schmit and Rusty Schmidt were moving activists, known as water protectors, south along Highway 1806, when they identified Fallis as an instigator. When Fallis walked away from the crowd that day, Schmit and Schmidt “took her to the ground” and attempted to flex handcuff her. Lying face down, two heavily armed deputies manhandling her, Schmit heard two quick gunshots, and Schmidt noticed the ground near his knee “explode,” the affidavit stated. Schmit then lunged towards Fallis’ left hand and with the help of other officers, pulled the handgun away before handcuffing her. Standing at five feet three inches tall, and weighing approximately 125 pounds, Fallis would have been an easy tackle for two well-trained sheriff deputies. Neither deputy saw a gun when they took Fallis to the ground, and believe she was able to retrieve the weapon when Schmit stopped pulling on her left arm, the affidavit stated. “Once Red Fawn Fallis was in custody, officers found a small amount of what they believed to be marijuana in Red Fawn Fallis’ left and right pants pockets and also metal knuckles in the backpack that Red Fawn Fallis was carrying,” the affidavit stated. While being transported to the Morton County Detention Center, police said Fallis told them she was trying to pull the gun out of her pocket and was jumped, making the gun go off. 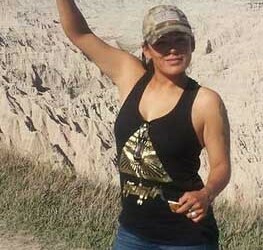 “Red Fawn Fallis also made the statement to Probation and Parole that they are lucky she didn’t shoot ‘all of you f*ckers,’” according to the affidavit. A Facebook page supporting Fallis called Free Red Fawn stated that Fallis was retreating from the front lines when she was tackled. Originally, Fallis was charged with attempted murder, preventing arrest, carrying a concealed firearm, and possession of marijuana. The charges were dropped by the state a month later, but were moved to federal court. On January 29, Fallis will begin court proceedings charged with engaging in civil disorder, discharging a firearm in relation to a felony crime of violence, possession of a firearm and ammunition by a convicted felon, which if found guilty carries a minimum sentence of 10 years and the potential of life imprisonment. Today, Fallis resides in a halfway house in Fargo. She has access to a mobile phone and can chat online, but heeding caution from her lawyers, refused interview requests. Fallis, and her supporters, say she is a political prisoner of a war that has lasted more than 500 years. 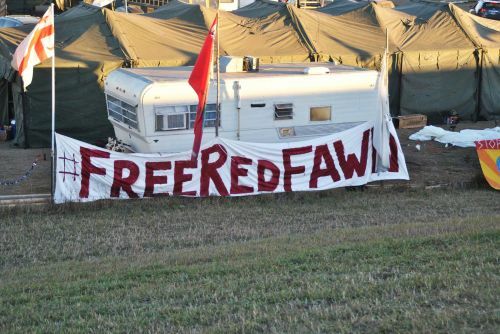 “The U.S. government is engaged in tactics of lies, and rumor, and paid informants in an attempt to put our sister, daughter, auntie, water protector, and friend in prison,” a post from the Free Red Fawn Facebook page stated. While at the camps, Fallis worked primarily as a medic, pulling injured people from the front lines, dowsing faces burning from pepper spray with milk of magnesia, and easing the pain of those hit with rubber bullets. Fallis also worked with youth, as an older sister, Twenny said. 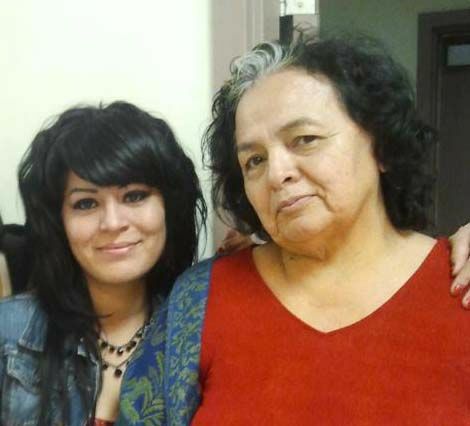 Fallis is the daughter of Troylynn YellowWood, an activist who helped block the Columbus Day Parade in Denver, Colorado in 2004, according to the American Indian Genocide Museum. YellowWood was also a member of the American Indian Movement, and in the 1970s gave safe house to Annie Mae Aquash in her Denver home, according to February 2004 testimony in the trial of Arlo Looking Cloud. YellowWood passed away in June 2016, four months before her daughter was arrested. Fallis has a prior record from 14 years ago, and served 30 months of probation in Denver after pleading guilty. 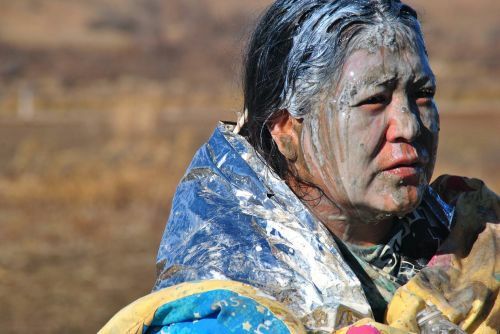 She is the only woman and one of six Native Americans facing charges in federal court from the Dakota Access Pipeline controversy, according to the Water Protector Legal Collective. Federal charges against five men stemmed from information obtained by Energy Transfer Partners’ security teams, according to an affidavit filed by ATF Special Agent Derek Hill. Dion Ortiz, 21, was being held at the Sandoval County Detention Center in New Mexico on federal charges of civil disorder and the use of fire to commit a federal crime. His request to be released to a halfway house was granted on December 7, 2017. Michael Giron, known as Little Feather, is from the Coastal Band of the Chumash Nation and was raised in Santa Barbara, California. He has been incarcerated without bond since March 9, 2017 on two federal charges of civil disorder and using fire to commit a federal felony offense arising from October 27, 2016. His trial is set for April 10, 2018, in Bismarck. Little Feather faces up to 15 years in prison if proven guilty. Brennon J. Nastacio, 36, commonly known as “Bravo One,” is a Pueblo Native American, and was indicted on February 8, 2017 for civil disorder and the use of fire to commit a federal crime on October 27, 2016. Nastacio was also charged by the state with felony terrorism after he helped disarm Kyle Thompson, a former employee of Leighton Security Services under the TigerSwan fusion lead. The state’s charges were dropped in July 2017. 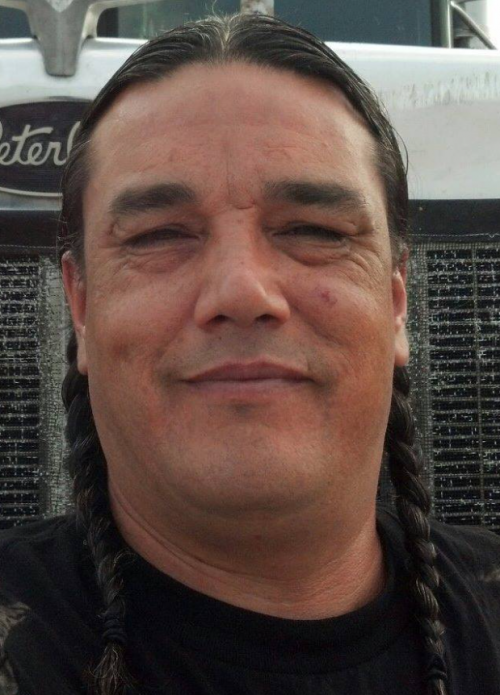 James “Angry Bird” White, 52, a veteran and from the Cheyenne River Sioux Tribe, worked security in the Standing Rock camps. He too faces federal charges and was arrested in January 2017. 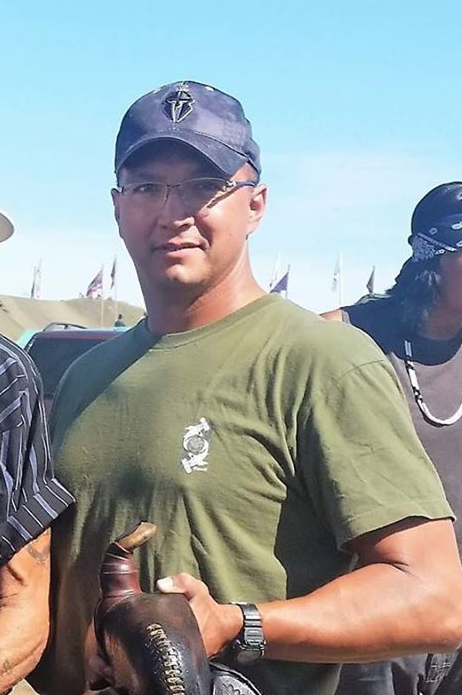 Michael “Rattler” Markus, from Pine Ridge Sioux Reservation, is on supervised release after being held for nearly two months at the Heart of America Correction Center in Rugby, North Dakota. On December 4, 2017, Fallis made a public statement on the Red Fawn Facebook page. Her mother was an influence in her life, she stated. “We all share the same history in one way or another so we must open our hearts in order to love and encourage each other and continue to help each other heal. 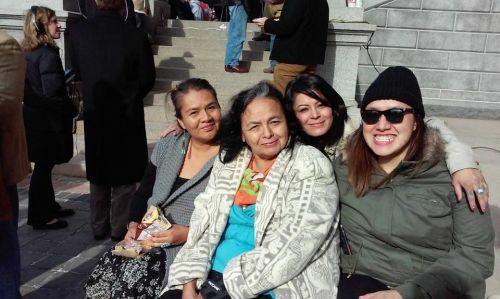 I added a picture of us at the Capitol that day and even though my Ina was very ill and battling cancer she was there, smiling and offering her heart and love to our relatives who were there to honor the memory of so many who died at the hands of hate, racism, greed, and the American government.